Our one trip 20 ft high cube pallet wide sea containers provide an extra 172 square cubic feet, and an additional 1.5 ft in height. Built with smaller walls, these second hand containers allow for greater space – accommodating 2 pallets side by side. 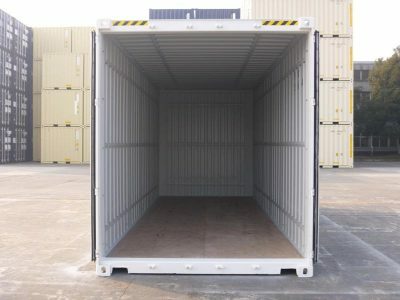 With the extra height, these shipping containers can handle greater quantities of items. High cube pallet wide shipping containers are sturdy, weatherproof, vermin-proof, dry, and secure.